What is King Size Mattress? The market is full of mattresses of different sizes which are intended to meet various purposes. One of such sizes is the king mattress that suits couples perfectly by offering the partners enough sleeping space. It is also a perfect size for people who share their beds with children, cats, and dogs. The king size mattress measures 76 inches in width and 80 inches in length. The king size mattress is roomy enough to accommodate two big-sized adults by offering each one of them a personal space of up to 38 inches. Hence you and your partner can move around freely during sleep and wake up strain free. The bed sheets are easy to find. It takes up a lot of space and may therefore hinder movement. It is large in size that it may not fit easily upstairs or in small rooms. The king size beddings are expensive. Its sheer size requires it to be accessorized well to give it style and pomp. It requires three standard pillows or twoking pillows to fit its large width. The tuft & needle mattress mixes the best qualities of memory foam and latex foam to offer comfortable firmness to sleepers as well as to minimize motion transfer. The construction of the mattress with freshly poured T&N allows it provide a bouncy yet supportive feel at all sleeping positions. It also makes it easily compressible to fit into a small box for easier and cheaper shipment. The tuft and needle mattress also contains high-grade foam that is neither too soft nor too hard allowing it to offer great pressure relief. Chances of disturbing the other partner are minimal since the mattress offers localized bounce. There are no risks associated with this mattress since it has a 100% refund guarantee, 100 nights sleep trial as well as 10-year warranty. It has a thickness of 10 inches and an average weight of 82 pounds. The Zinus conforms body shape to offer high levels of comfort. It consists of multiple layers that include memory foam, comfort foam, airflow density foam, and high-density base support foam. The foam is Foam is CertiPUR-US Certified for performance, durability, and content. The infused green tea and castor natural seed oil allow it to retard odor and bacteria naturally. The use of patented technology makes the mattress to be easily compressible to fit in a box for easier shipment. The ability to distribute weight evenly and motion control make it suitable for all kinds of sleepers. It has an airflow technology on its bottom two layers that help to circulate heat out of bed. The knitted jacquard mattress cover is breathable and plays a huge role in heat mitigation and also helps it to stay fresh. It has a 10 years warranty and a one month trial period. The cool breeze mattress has four layers HD gel memory foam which relies on a cooling technology to lower heat levels at the surface for more comfort during sleep time. The mattress starts off a little firm but softens through use. It favors all kind of sleepers and also people with back pains. The mattress looks luxurious with brown suede corners. It also has a fire barrier and a washable cover. Between the gel and high-density layers are two airflow foam layers that play a huge role in temperature regulation. It has 30 years warranty. The average firmness of the mattress not only provides a comfortable feel but also helps in relieving strain and pressure from muscles and joints which favors people who have arthritis. 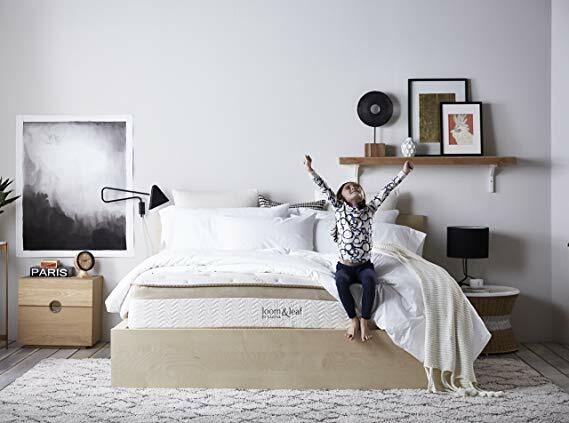 The mattress has a gel infused memory foam that plays a huge role in temperature regulation and conforming to the body to ease pressure points creating a medium-firm feel. The mattress is CertiPUR-US certified for performance and safety. All the materials used in construction are tested for safety. The foam makes it easy to compress for convenient shipping. The TENCEL cover creates a comfortable air layer by regulating temperature and controlling moisture.it weighs 70 pounds and has a 25-year warranty. The signature sleep has three different layers that mold the body’s natural shape giving It a natural feel. The first layer is made of 2-inch comfortable memory foam, while the second one is a 6-inch layer high-density ILD and the last one is a 2-pound memory foam. The full expansion of the mattress that lets the odor to dissipate takes a maximum of 72 hours. The signature memoir works on various services that include sofa beds, platform beds, and spring beds. Its cover is made of a soft, breathable knit fabric. The mattress offers high comfort and provides balanced support no matter how the sleeper tosses or turns. It has a 1.5 inches foam beneath it that forms a surface aligns to the body thus helping to reduce pressure on the joints. This also allows the LinenSpa to offer a comfortable medium-firm feel. The mattress comes with a 10-year warranty and a total weight of 70 pounds. The fact that the mattress is pressable makes shipment easy and affordable. The first and the second layers of the classic brand’s cool memory foam contains a layer of cool gel that draws temperature from the body thus helping in heat retention. The foam contains numerous holes that play a huge role in temperature regulation by allowing hot air to escape the cooling gel particles. The memory foam layer allows the body to sink partially and hugs it comfortably. The last layer of the mattress is strong enough to support the upper layers. The overall structure of the mattress reduces motion transfer allowing reducing disturbance no matter how vigorous the turning and tossing is. All these features make the mattress adaptive to any body size or weight; a factor that guarantees comfort for all users. Of the 7 king size mattresses we highly recommend the Lucid 10-inch Gel Memory Foam Mattress. It is not only good for couples, but also sportsmen and women because it eases pressure from your muscles and joints as you lie on it. It is also appropriate for use in hot or cold weather because it is thermo-regulating. It is pricey, but since it is comfortable and durable, you are guaranteed to get value for your money.